Formed through a partnership with The Citizens for Reliable and Safe Highways Foundation (CRASH), and the Parents against Tired Truckers (P.A.T.T.) organization, the Truck Safety Coalition is an ally for truck driver safety, aiming to reduce the amount of injuries and fatalities from truck accidents nationwide. Meant to be an educational resource as well as a support system for truck accident victims, the Truck Safety Coalition is dedicated to achieving several specific goals within the trucking industry. The coalition also publishes truck crash data from the drivers emergency onboard recorders (EORBs) which can give insight into factors that contribute to accidents. Related data from the Insurance Institute for Highway Safety (IIHS) cited that reports from 2006 showed that 21 percent of truck drivers admitted to having fallen asleep at the wheel while on a route with their vehicle. This was an increase of 50% from the prior year. Statistics like this are the reason the Truck Safety Coalition exists as a driving force behind legislation and changes within the trucking industry that can eliminate needless deaths and injury. When an individual is killed in a trucking accident, the coalition supports the rights of their family when no other organizations do. 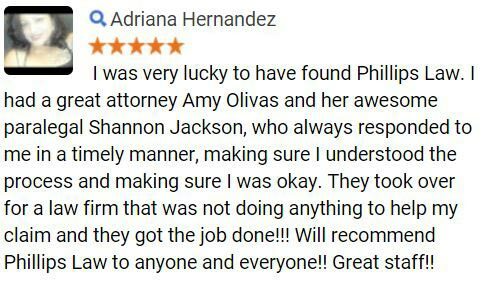 When trucking accidents occur, the confusing and pain the victim feels may be overwhelming, which is why the personal injury attorneys of Phillips Law Group are proud to stand by those victims and their families, guiding them through the legal system every step of the way. 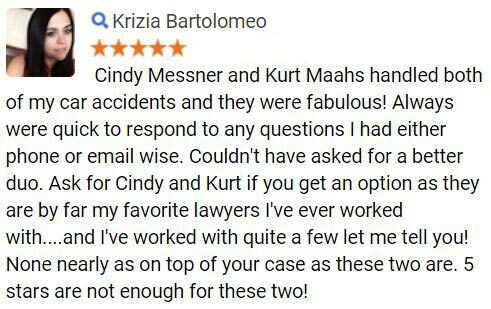 We always fight for the MAXIMUM amount of compensation that our clients are eligible for. 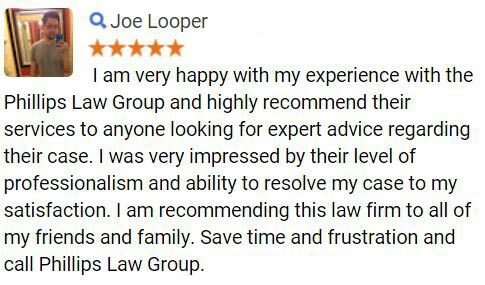 To find out how we can help, just fill out the Free Case Review form located at the top of this page, on the right side. It is completely free, confidential and without obligation. One of the coalitions biggest goals is to enact statutory legislation mandating EORBs in every truck and bus. They argue that these devices will provide data that can help prevent future crashes and injury to passengers, much like a planes black box. The NTSB has asked the Department of Transportation to mandate the use of EORBs for 30 years to no avail, and the Truck Safety Coalitions request falls in line with the NTSBs recommendations. With recording devices, a driver cannot falsify any information about their trips, time spent on the road, or other aspects of the job that could mean the difference between a serious accident occurring or not. The Federal Motor Carrier Safety Administration (FMCSA) outlines several types of very common trucking accidents. Because of a commercial vehicles imposing and awkward stature they are prone to an inability to avoid accidents due to their brakes and the weight of the vehicle. Of course, the coalition not only raises awareness about the importance of truck driver safety, but drivers who share the road with a large truck must be educated, as well. Remembering not to crowd or dart around a truck can help save a life, as a trucks blind spot or No-Zone are extremely dangerous areas for a vehicle to spend any amount of time. The coalitions ability to unite past survivors with recent victims and to use that partnership to spur important legislation makes it an asset to the trucking industry. As part of its commitment to the victims of trucking accidents, the coalition maintains a support system they call the Survivors Network. The individuals that make up the network have experienced firsthand the trauma and devastation that comes with involvement in a truck crash. The coalition bases much of their educational and legislative information on the testimonies of these survivors, who volunteer countless hours to promote important safety measures and raise awareness from a victims perspective. Sorrow in Strength and the First Response Program are two ways the Survivors Network makes their mark advocating for better laws and stricter safety measures. The legal team of Phillips Law Group understands how difficult it can be to experience an accident because of a negligent truck driver. We believe it is within your rights as the victim to pursue legal recourse and bring justice to the negligent parties. and most other surrounding towns and suburbs of these areas. 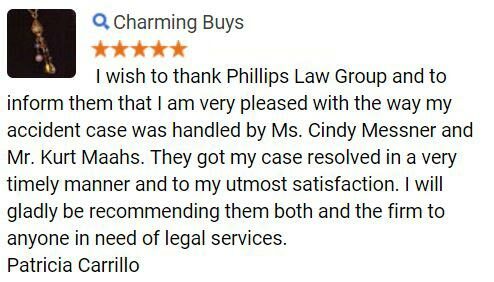 To find out how Phillips Law Group can help you understand your rights and bring much needed peace of mind, call us nationwide at (800) 706-3000. If you would prefer to contact us online, simply fill out and submit the Free Case Evaluation form, located on the right-hand side of this page. Its strictly confidential and 100% FREE to send.